A new report demonstrating how drones can come to the rescue in natural disasters, help starving people in conflict and provide emergency medicine has been published today (7 June 2018) by one of the UK's leading robotics experts. The report, unveiled by the Foundation for Responsible Robotics, which is led by Professor Noel Sharkey from the University of Sheffield, outlines five key areas in which drones can be used to benefit humanity. Aside from industrial uses, drones have gained a bad reputation as tools for violations of human rights, breaches of privacy and irresponsible and dangerous uses by hobbyists – particularly at airports. However, new uses of drones are emerging that could greatly benefit us all, according to the authors of the report. Activism: helping activists collect information about societal injustices, such as pollution from industry, unjust livestock treatment, inadequate delivery of healthcare supplies, etc. Professor Noel Sharkey, co-director of the Foundation for Responsible Robotics and Emeritus Professor of Robotics and Artificial Intelligence at the University of Sheffield, said: "I have long campaigned against the excessive use of drones in armed conflict and policing as well as their erosion of our privacy. However, we mustn't throw the baby out with the bathwater. "It is now clear that the responsible use of this technology could be enormously helpful in humanitarian work and environmental protection. When we have natural disasters, starving people in conflict, or emergency need for medicines, drones can come to the rescue." The authors of the report warn that drone technology touches on so much of our society that robust research is needed to maximise the service performed by drones towards the public good. The report emphasises a need to get it right. "The benefits of using drones in some circumstances can reap great benefits but we need to ensure that we don't overlook potential negative impacts on individuals, communities, and the environment that would undermine the benefits of the technology," emphasizes Dr Kristen Thomasen from the law faculty of Windsor University in Canada. It is not just the regulatory landscape that needs to be addressed to ensure the beneficial use of drones, according to the report. Dr Aimee van Wynsberghe, co-director of the Foundation for Responsible Robotics and a robot ethicist at Delft University, stressed: "There may be unintended ethical problems raised by the use of drones in the service of society which challenge the current approach to technological implementation; 'move fast and break things'. It is time for global standards and best practices to protect individuals in their public and private lives." Professor Sharkey added: "We need to get the public behind us in this important endeavour. As Denise Soesilo, a Development Advisor on Emerging Technologies in Geneva, put it: 'drones are a rapidly emerging technology that stands to radically alter human society.' We urgently need societal discussion on how we use the technology and we need to persuade those who control it to ensure that it is used for the common good." The report delivers five key findings to ensure that, regardless of the circumstances, a responsible attitude must be maintained to protect the operators and the individuals or groups who are being helped. 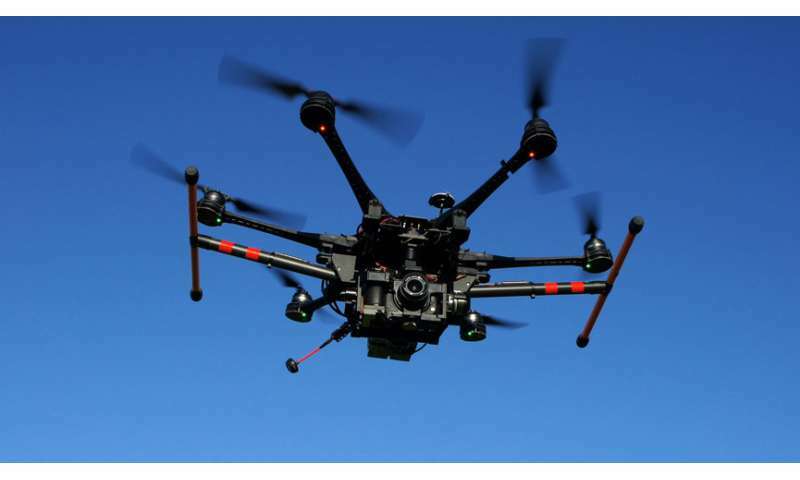 Reduction and/or mitigation of psychological and physiological responses to drones such as stress and trauma are key elements for maximizing the societal benefits of drones. There is urgent need for more detailed research to assist stakeholders in reducing the negative impacts. Heightened privacy considerations are required and stricter stance on privacy and data protection guidelines is needed due to the potential impact on both drone operators and the individuals or groups whose data is being collected. Erosion of human rights including infringements of human dignity and justice should be deliberated prior to launching drone operations. Such consideration should impact the whole process from the choice and design of the drones to the planning and strategy phases of operations. Coordination with professional rescue operations should be a strict requirement for private groups (including NGOs) before initiating assistive operations in disaster zones. Otherwise there is a risk of hampering or seriously impeding ongoing rescue and disaster relief. Consulting existing guidelines and professional codes of practice is essential before private individual users or groups consider operations in fields such as humanitarian aid and journalism. There are existing policy documents and established codes of practice that need to be taken into account in the initial formulation of such projects.